This kit works on all ¼" 4-link bars and allows for unlimited shock adjustment. 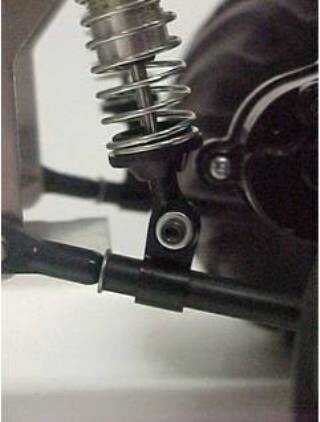 Ride height can be adjusted simply by sliding clamp along 4-link bar. New: These kits now include clamps for both 3/16" and 1/4" 4-link bars! This kit includes all clamps and hardware required to mount 4 shocks. Shipping Charges: Our shipping charge is a flat $5.00 for this item. This product was added to our catalog on 11/15/2010.